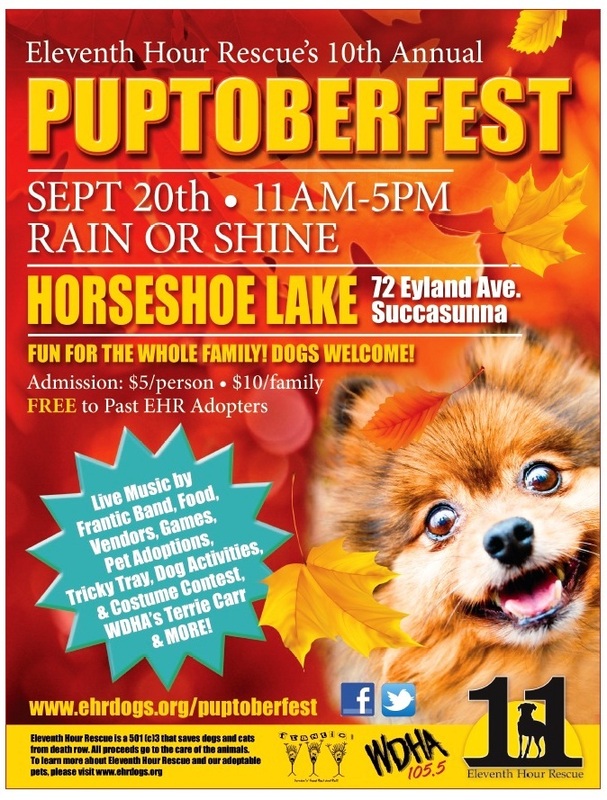 Come one… come all to Puptoberfest! Hey all another great cause to share filled with a fun day of excitement and an opportunity to adopt a fur-ever friend. The age old questions of Who, What, When, Where, Why, and how? I’m getting to it right now. Who: Eleventh Hour Rescue of North Western New Jersey. What: The 10th annual Puptoberfest. Why: To enrich ones life a paw at a time, share in the togetherness with other Pet Parents, and because its going to be a fun filled day! There is even more info to share with you the fest… there will be live music, food, games, pet adoptions, tricky tray, costume contest and much, much more. So are you ready to do this too? The admissions fees are modest $5.00 per person, $10 for family, and FREE for EHR (Eleventh Hour Rescue) past adopters. To buy your tickets please click on the link provided by Eleventh Hour Rescue Puptoberfest@ehrdogs.org then click onto the Puptoberfest flyer and fill out the online form… and don’t forget Dogs are welcome. PreviousSupport C.L.A.W.S they helped me find a forever home!